Enjoy huge discounts on some of the most popular products in the FACE Bookstore! 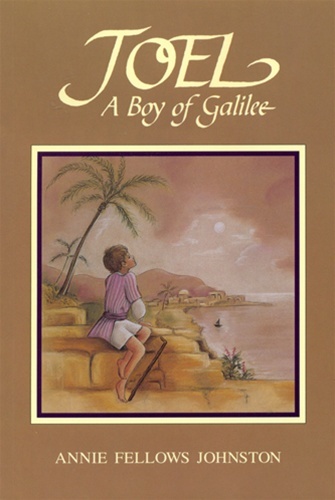 In Joel: A Boy of Galilee, a young boy is crippled and lonely until he meets his Master. First published in 1895, this poignant classic still speaks spiritual truths to boys and girls today. Set in the land where Jesus walked, the narrative of the Gospel comes alive in away that will capture the fascination of children of all ages. It is ideal for children in middle and upper elementary grades. This version was republished by the Foundation in 1992. Regular price: $13.95. Now $8.37. The family is the educational center of our nation. 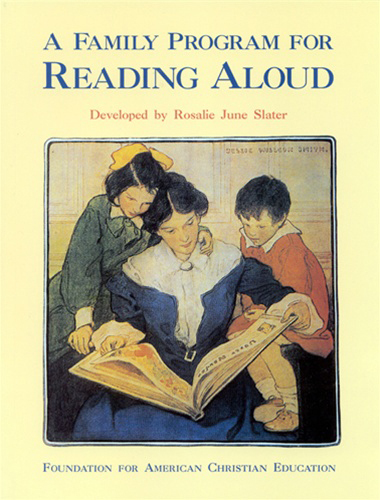 With A Family Program for Reading Aloud Teach leadership and Christian character to your children through literature. This valuable volume discusses more than 200 classics by great authors that identify Biblical ideals and will give your children a better understanding of forming Christian character. Expand your child’s interests and make your home the beginning place for developing leaders. 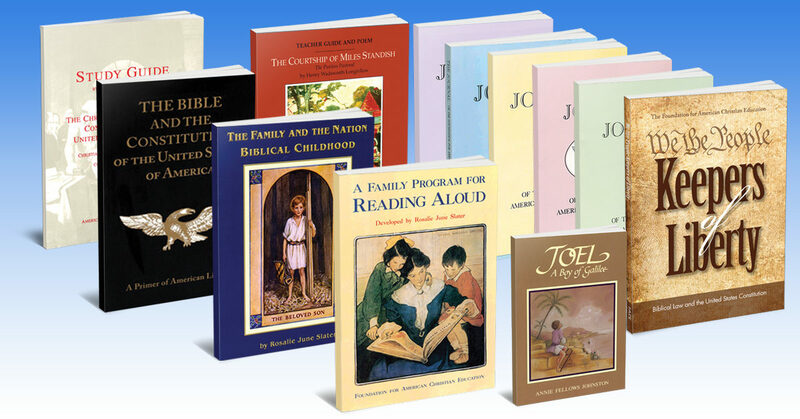 For decades this book has been bonding and blessing families who discover the delight of enjoying books together. Regular price: $19.95. Now $11.97. In The Family and the Nation: Biblical Childhood, the architect of the Principle Approach®, Rosalie Slater, gives an account of Biblical childhood and a model of parenting for Christian families. 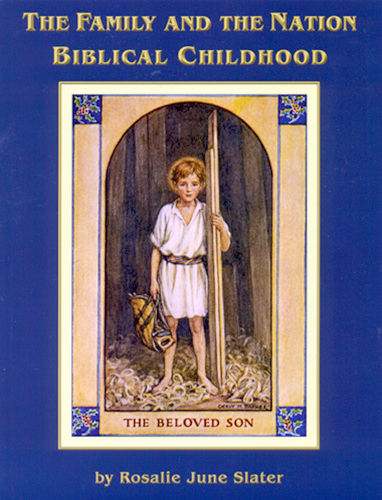 This beautifully illustrated book is an eloquent literary expression of the Biblical method and standard for child rearing. It presents God’s heart for childhood as seen in the lives of five great Biblical individual: Moses, Samuel, David, John and Jesus. Includes Dr. Carole Adams’ classic essay “The Christian Idea of the Child.” Regular price: $22.95. Now $13.77. The Bible and the Constitution documents the vital role of the Bible in American History. The Bible has been our textbook of civil and religious liberty and produced our constitutional government. Primary source documents outlined in this book authenticate the Bible as the major influence on the making of the Constitution. Regular price: $14.95. Now $8.97. 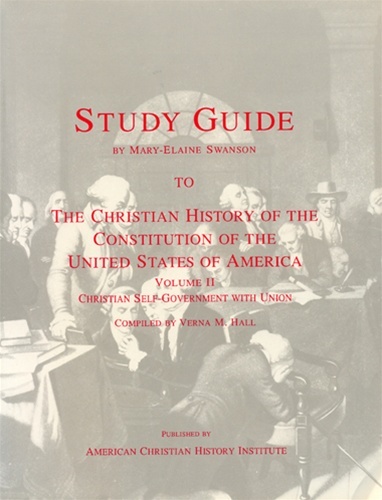 Study Guide to The Christian History of the Constitution of the United States of America: Christian Self-government with Union is designed to work with CHOC II using the Principle Approach® method to teach leading ideas and principles. 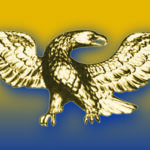 The book is set up to teach twenty-four weekly lessons to equip leaders with an understanding of the Christian foundations of the American system of government. Some topics include providential history, the law of God revealed, the law of nations, leadership in education and the importance of God-given rights. Regular price: $16.95. Now $10.17. 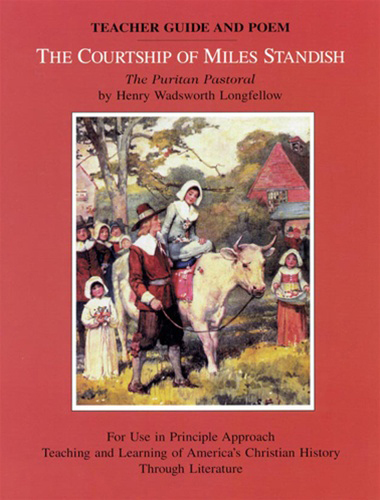 The Courtship of Miles Standish Teacher Guide and Poem is a complete curriculum for studying the character and providential history of the Pilgrims through a literature classic. Henry Wadsworth Longfellow’s narrative poem, with the themes of friendship, honor and courtship is an excellent model of character for young people through the captivating power of story in verse. The teacher guide gives detailed instruction for the notebook method analyzing the literary elements of the poem. Through this story the Pilgrims step out of their tired black and white stereotype to become living companions whose moral strength and courage create lifelong impressions on the reader. The full poem is illustrated with numbered lines for reading aloud. Regular price: $19.95. Now $11.97. 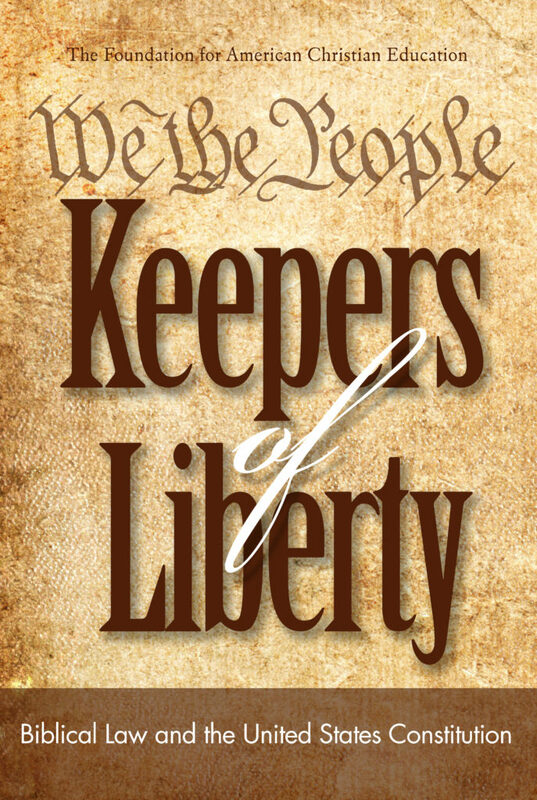 We the People: Keepers of Liberty: Biblical Law and the United States Constitution is a collection of eight essays reflecting on our Constitution by noted scholars, such as Verna Hall, Rosalie Slater, Gary Amos, Stephen McDowell and Charles Wolfe. 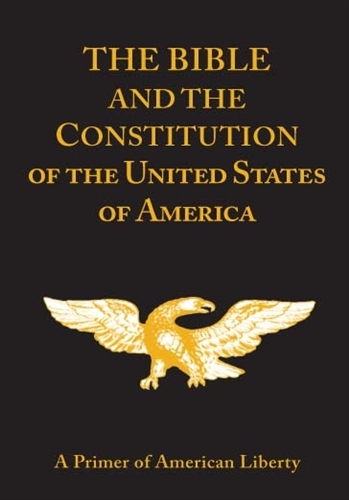 Articles such as The Christian Roots of Our Constitution, Montesquieu and the Spirit of Laws, and Warren Burger’s The Christian History of the U. S. Constitution, will enlighten and renew your understanding of our founding document. You will be equipped and emboldened to give a defense to the many onslaughts to the law of our land. Regular price: $15.95. Now $9.57. The Journal I includes the Biography of Verna M. Hall and her “The Hand of God in American History: English Preparation,” “The Inauguration of George Washington,” “Antarctica: God’s Seventh Continent,” and “In the Carpenter’s Shop” –original children’s story by Rosalie J. Slater. Regular price: $15.95. Now $9.57. The Journal V: Designing a Curriculum for a Christian Civilization includes “Teaching Subjects by Models of Individual Character: History, Electricity, Oceanography, Mathematics, Art, Music Teaching,” “In the Carpenter’s Shop” original story by Rosalie J. Slater complete with lesson plans. Regular price: $15.95. Now $9.57. The Journal VI: Designing a Curriculum for a Christian Civilization “Teaching Subjects by Models of Individual Character: Theology, Foreign Languages, Rhetoric, Literature,” “Washington & Lafayette: Two Men, Two Revolutions” by Rosalie J. Slater, and “In The Carpenter’s Shop” by Rosalie J. Slater. Complete with lesson plans. Regular price: $15.95. Now $9.57. The Journal VII: Across the Wide Missouri: The Providence of God in the Opening of Western America includes excerpts from the writings and Journals of Senator Thomas Hart Benton, Jessie Benton Frémont, and John Charles Frémont, Jedediah Smith’s Story, Christian Literature of the American West: Bret Harte, and “In the Carpenter’s Shop” original story by Rosalie J. Slater. Regular price: $15.95. Now $9.57. The Journal IX: Blessing the Generations: The Duty of Grandparents: Grandparents are multiplying in our country. There are many factors that account for this. What cannot be accounted for is how grandparents are teaching their grandchildren some of the Biblical principles which have kept them alive and vital, that have preserved “our lives, our liberties, and our sacred honor.” This Journal is an effort to highlight some key individuals and the important fields they represent. Regular price: $15.95. Now $9.57.